This has been a busy year. I was able to complete some large and small projects, but the process of buying a house got in the way of doing production work to prepare merchandise for a proper booth and show. So what did I get to accomplish during the past year? Most of the early part of the year was spent planning and building a proper workbench. I documented this build extensively. The bench has been a solid and wonderful work surface and clamping device. I’ve got a quite a list of pending projects to put it to use on. This past year involved experimenting with painted bowls and my first segmented piece. I’ve also added a bed extension to the lathe and look forward to doing some chair work in the next year. During the summer I had the opportunity to do some outdoor building in the form of a trellis structure. The build was straight forward and the finished project provided some much needed backyard screening for the client. It also gave me a chance to improve my Sketchup skills. The Pittsburgh International Airport has a series of display cases that hold artwork on the land-side of airport. 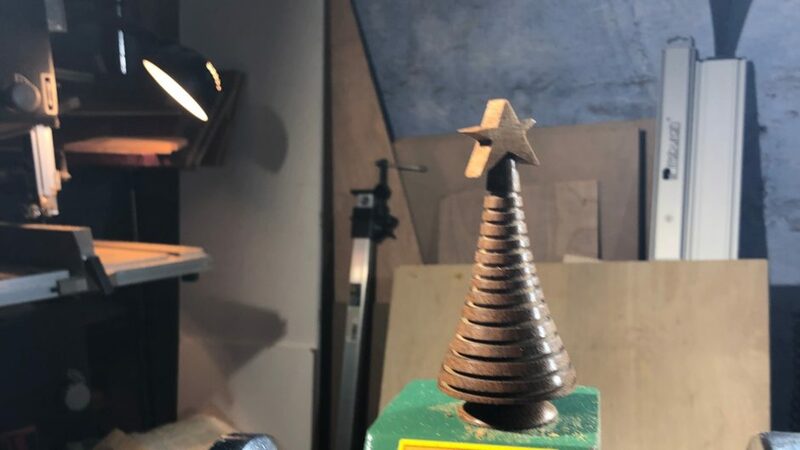 Beginning at start of December, the airport put a large number of turnings from members of Turners Anonymous, the local woodturners guild on display. 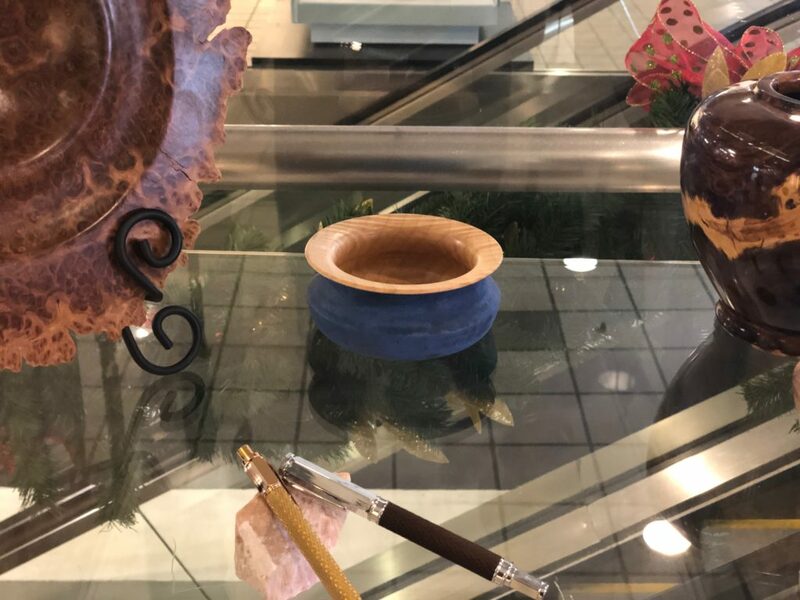 I have several pieces on display, including a painted vessel and bowl. I’ve been playing with these forms and finishes as part of my preparation for a formal show. While I wasn’t able to produce much this year due to a variety of family, work, and other circumstances, I’ve been happy with the designs and can’t wait to make some more for next year. 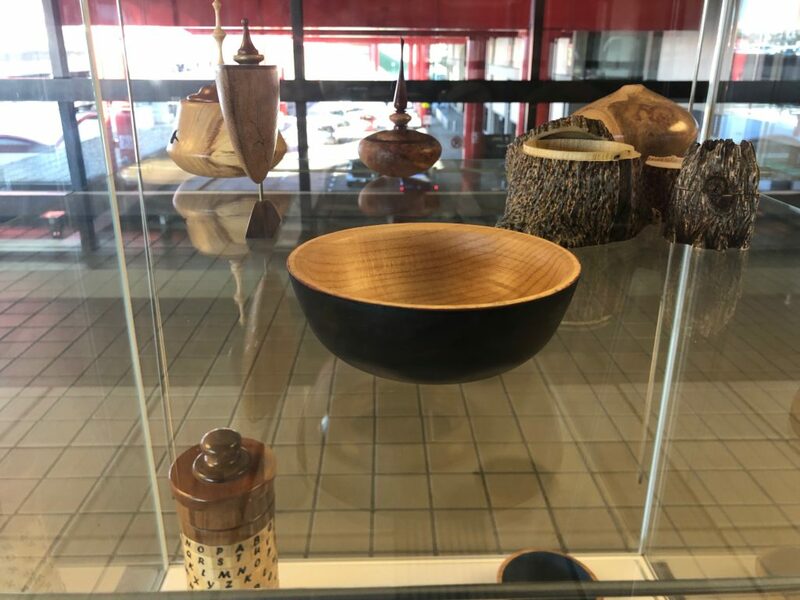 If you are out at the airport before February be sure to check out the cases to see not only my work, but the work of numerous area wood turners. I sat down and put together a list of planned projects. The list is currently 15 deep, not counting the general electrical and household work that I need to complete in the next year. To keep updated, I’ve followed the lead of some fantastic writers and created a /now/ page on the website. Check in occasionally to see what’s next.